If new petrol engines are banned from 2040, here are 10 we’ll miss the most. The current 6.5-litre Ferrari V12, used in the 812 Superfast, is the latest in a noble line dating back 70 years. It isn’t just the 789bhp that’s astonishing. It’s the smoothness, the rousing baritone bellow, the tractability, and the instant throttle response at any revs. Behold, the greatest engine on sale today. 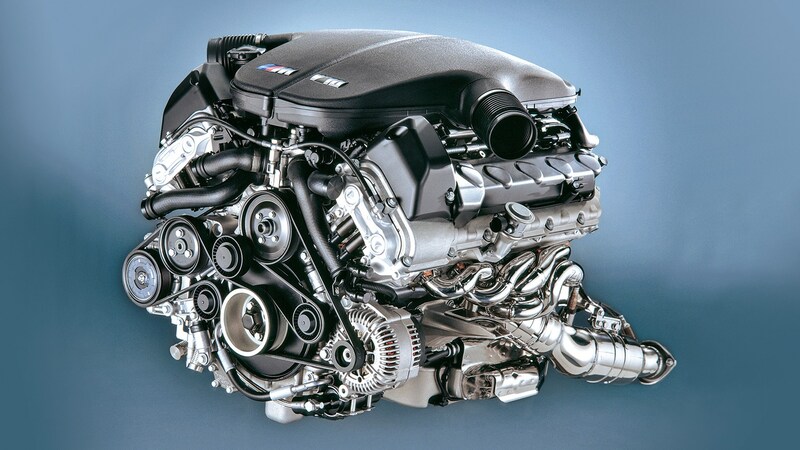 BMW is famed for its straight sixes, a smoother and superior alternative to the cheaper (and easier to package) V6. The best was the E46 M3’s 3.2 litre (especially in CSL guise, with 355bhp and redlined at 8200rpm). But the current turbo straight six, as used in M240i, is still pretty damn good. 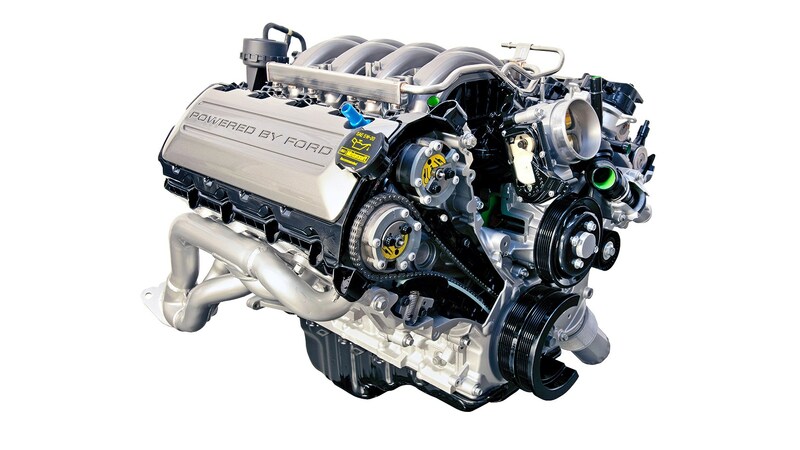 You buy a Mustang for that 5.0-litre V8. Don’t even consider the weedy four-cylinder 2.3. That’s like buying a Fender Stratocaster without any strings – all style and no sound. Rev it and dream of Days of Thunder at Daytona. 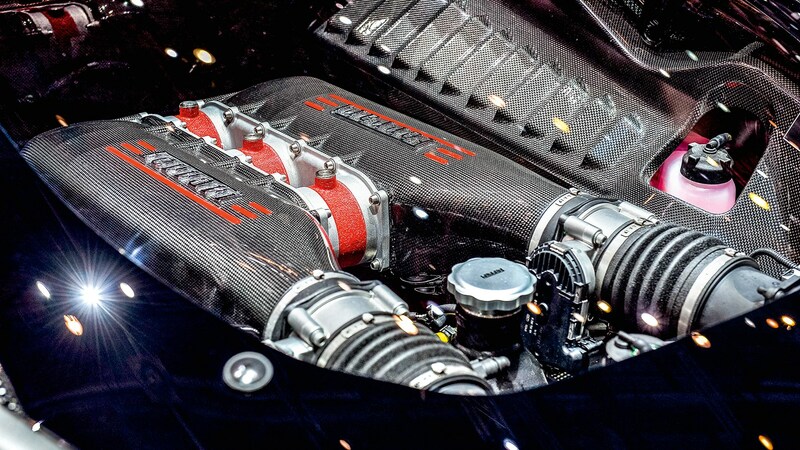 No other engine with a mass-made badge sounds anything like as good as this. Nothing gets the nerve ends tingling like a V8 at full chat. 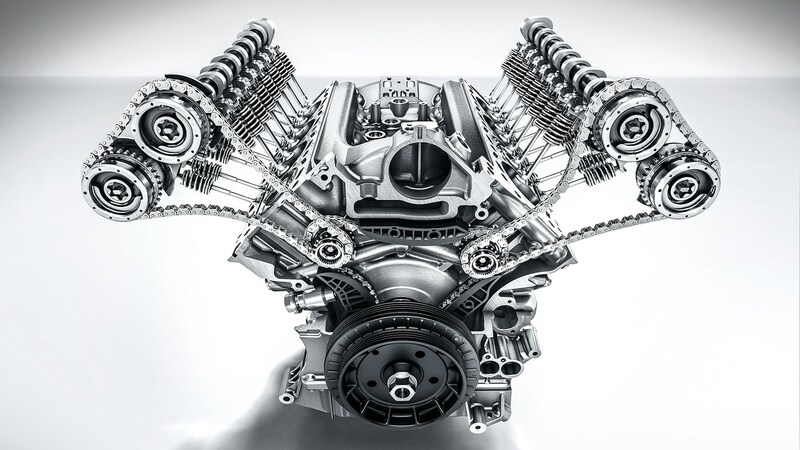 And there’s no finer V8 on sale today than this hand-crafted 4.0 litre, as fitted to the AMG GT and C63. It snuffles and burbles and bellows and roars and it’s one of the few turbo engines where the torque doesn’t feel artificially inflated. The E60 M5, launched in 2005, was very likely the best sports saloon ever. 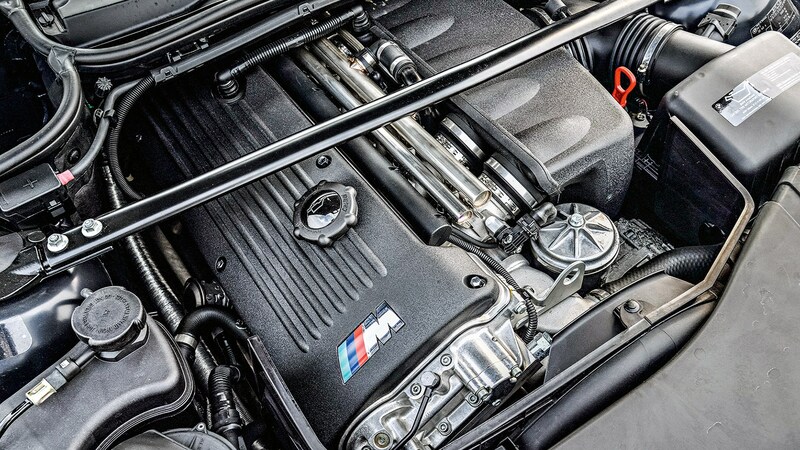 Key to its greatness was probably BMW’s finest road-car engine: powerful, roaring, responsive. 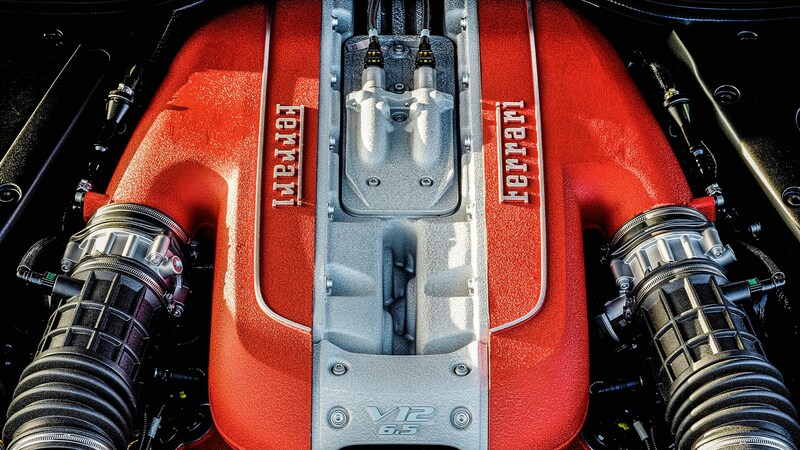 One of the V10’s party tricks was a ‘power’ button to unleash the final 100-and-a-bit bhp, for an incredible 500bhp. The turbo V8 in the new 488 is good, but the naturally aspirated 4.5-litre V8 in the previous 458 was better. It revved harder and sounded sweeter. Plus its instant response – any gear, any revs, any speed, any time – made the 458 a more playful and spirited companion than the turbo 488. 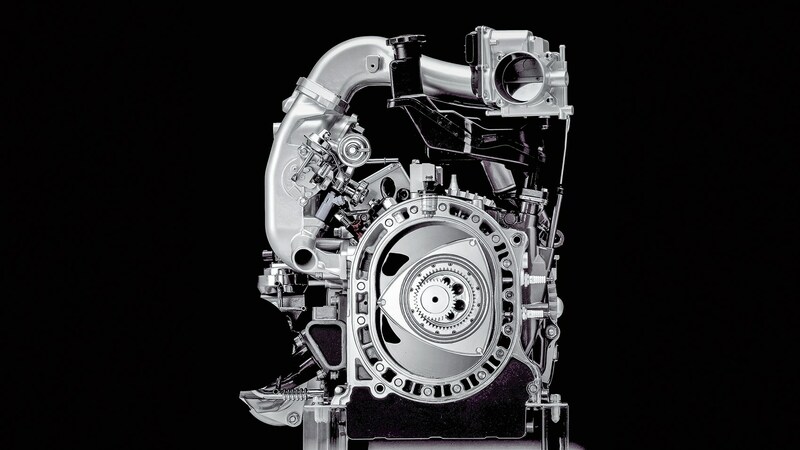 The rotary was the only new petrol engine of the 20th century to enjoy any sales success. Even then, success was limited, owing to its thirst. Mazda’s was simple, light, smooth and reliable, and produced an astonishing wail, as anyone who witnessed its success at Le Mans in 1991 will testify. This sweet, light and efficient two cylinder purrs like an old Fiat 500 – one of its goals – and delivers astonishing performance for one so small, with up to 104bhp from 875cc. If you thrash it, it can drink pretty heavily. But drive it in a relaxed manner and it’s astonishingly economical. 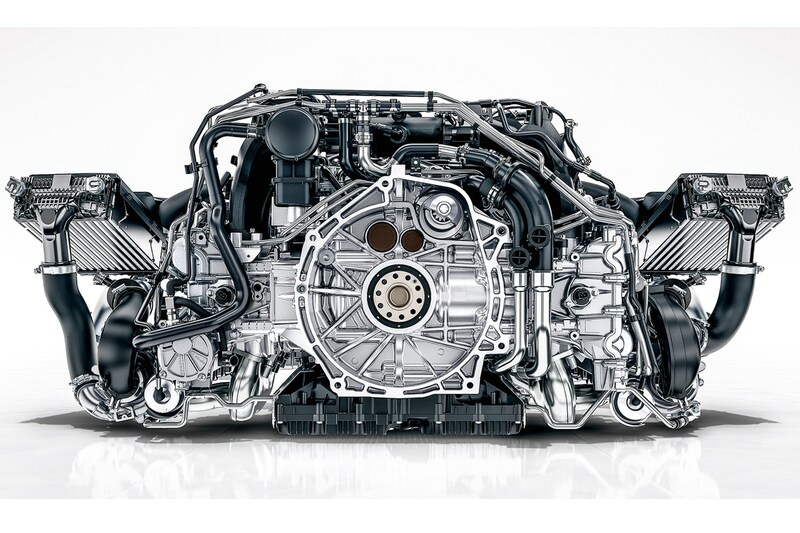 Flat sixes have powered 911s from the start. 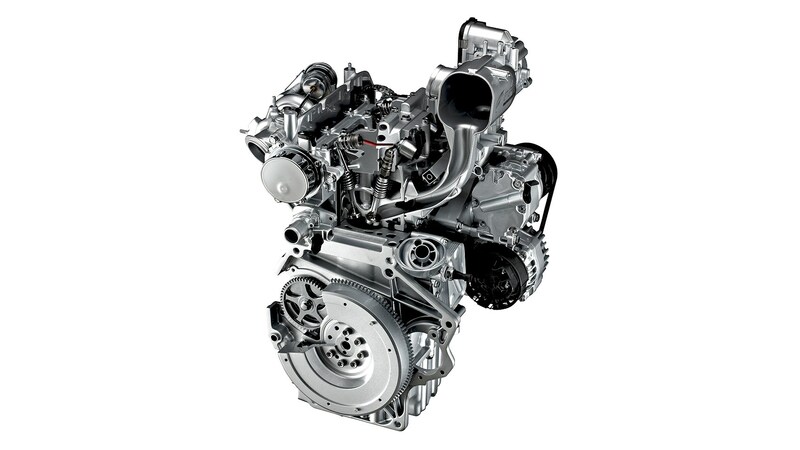 The engine has evolved from air- to water cooled; from naturally aspirated to turbocharged. The non-turbos have better throttle response, rev higher and sound better, and the best of the lot is the 4.0-litre version in today’s GT3 and 911R, with 493bhp. Little triples are all the rage, as car makers try to slash emissions. Most are delightful. Their lightness boosts agility, they’re invariably eager, and they have the most endearing thrum. 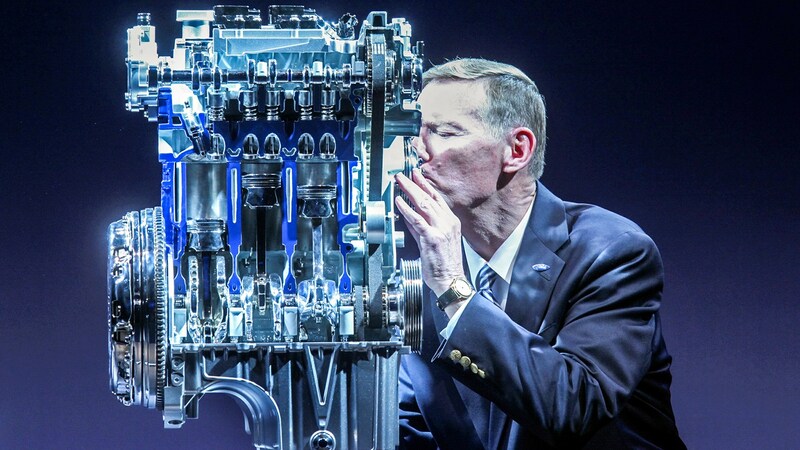 Ford’s British-developed 1.0-litre turbo EcoBoost is the pick, pictured here in an embrace with ex-CEO Alan Mulally.